MUNICH : February 26, 2010 - The new concept car offers a particularly good rendition of the new BMW 5 Series Sedan in all its dynamic, efficient and innovative qualities, at the same time representing the ongoing development of the BMW ActiveHybrid X6 and the BMW ActiveHybrid 7 with their drivetrain technology already in production. The drive system featured in the BMW Concept 5 Series ActiveHybrid consists of a straight-six gasoline engine with TwinPower Turbo technology, eight-speed automatic transmission, and electric drive. 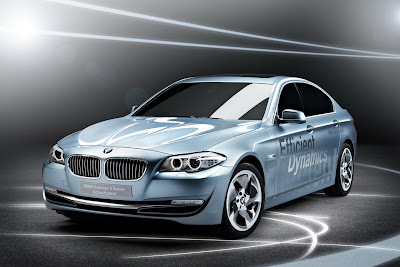 Integration of BMW ActiveHybrid technology in a sedan already extremely efficient with its “conventional” combustion engine reduces both fuel consumption and emissions once again by more than 10 per cent. At the same time the electric motor offers a boost function, supporting the gasoline engine in generating particularly dynamic drive power for an even more sporting driving experience in the car. 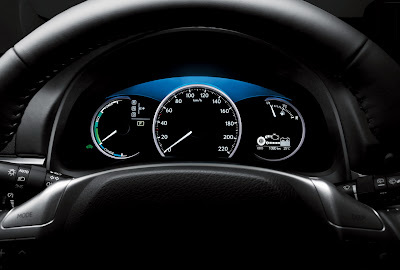 Intelligent energy management likewise serves to enhance the efficiency of the overall system, its unique functions ensuring appropriate control and management of all energy paths within the car and appropriate interaction of the drivetrain components precisely adjusted to driving conditions. The drivetrain technology featured in the BMW Concept 5 Series ActiveHybrid allows all-electric, zero-emission motoring in city traffic. At the same time a special hybrid-based Auto Start Stop function offers additional efficiency by consistently switching off the combustion engine when stopping at the traffic lights, a road junction, or in congested traffic. Optimised comfort, finally, is provided by the auxiliary climate control function already featured in the BMW ActiveHybrid 7. 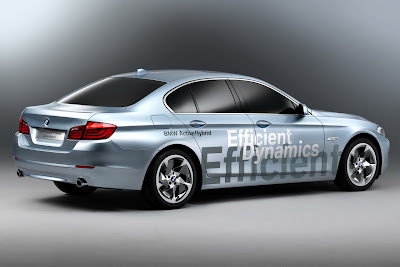 Special development of ActiveHybrid technology as part of BMW EfficientDynamics. The concept car based on the new BMW 5 Series Sedan for the first time presents the next generation of BMW ActiveHybrid technology, a special solution exclusive to BMW for intelligent interaction of the combustion engine and electric drive focused specifically on the requirements made of a dynamic sedan in the upper midrange segment. 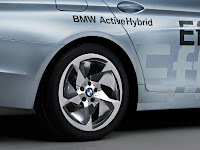 Taking this approach, BMW is consistently continuing the development of hybrid technology according to a modular principle (best of hybrid), thus offering the optimum rendition of BMW ActiveHybrid technology for each concept and vehicle segment. In accordance with the BMW EfficientDynamics development strategy, this ensures highly effective and practical use of hybrid technology for the reduction of both fuel consumption and emissions. Also in the BMW Series Sedan segment: the BMW among hybrids combines supreme dynamics with maximum efficiency. 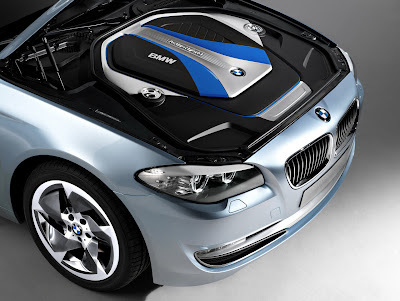 The combustion engine is supported in the BMW Concept 5 Series ActiveHybrid by an electrical drive system developed specifically for this model and arranged in compact dimensions between the straight-six combustion engine and the automatic transmission. Drawing its energy from a high-voltage battery at the back of the car, the electric motor develops maximum output of 40 kW. An automatic clutch connects the gasoline engine and the electric motors. Due to the particularly high level of torque generated from the start through the electric motors, the interaction of the two drive systems ensures extremely spontaneous and dynamic acceleration whenever required. Perfectly integrated, precisely controlled: high-voltage battery supplying power to both the electric motor and the on-board network. In overrun and when applying the brakes, the electric drive systems acts as a generator developing electric power fed into the high-voltage battery. 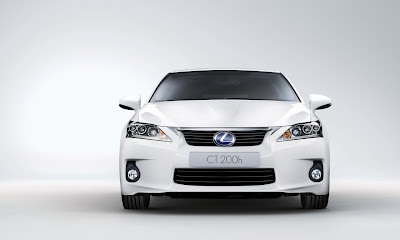 This converts kinetic energy otherwise wasted as heat in the brake system into electric power saved for subsequent use. Such energy obtained without any further consumption of fuel may then be used to generate drive power or operate electrical functions in the car. This principle is the same as that of Brake Energy Regeneration already applied in BMW’s current production models, with the level of electrical energy generated by the electric motor being significantly greater and the increase in efficiency correspondingly higher. The high-voltage battery likewise developed for this specific concept is fitted within a high-strength special case near the rear axle of the BMW Concept 5 Series ActiveHybrid. This leads to an optimum position in terms of both safety and harmonious weight distribution. An integrated control unit permanently analyses the charge status of the high-voltage battery and controls both the battery charge process by way of Brake Energy Regeneration and the system cooling process. Apart from the electric motor, the high-voltage battery also delivers electric power to the car’s on-board network. Among other things, this allows efficient operation of the car’s auxiliary climate control activated whenever required by a remote control function to cool down the car’s interior significantly even before starting the engine. Convenient use of the all-electric driving mode and the Auto Start Stop function is likewise guaranteed in this way, with all electrical functions such as the audio system, climate control or navigation remaining fully available even with the combustion engine switched off. Unique: intelligent energy management with advance analysis of driving conditions. BMW ActiveHybrid technology provides its unique potential in terms of both efficiency and driving dynamics under all kinds of conditions and throughout a wide load range. Unlike conventional hybrid cars whose extra efficiency is largely limited to city traffic, both the BMW ActiveHybrid X6 and the BMW ActiveHybrid 7, by combining the combustion engine and the electric motor, are able to offer significantly lower fuel consumption and emission ratings also at higher speeds. This is made possible by technically sophisticated power electronics masterminding the interaction of the combustion engine and electric motor and thus optimising the overall efficiency of the drive system as a whole. The BMW Concept 5 Series ActiveHybrid once again raises the range of functions provided by such power electronics to an even higher standard. As an example, the energy contained in the fuel and provided by the high-voltage battery may now be used even more specifically and efficiently to provide that Sheer Driving Pleasure so typical of BMW. Taking additional factors into account, the interaction of the two drive units in the BMW Concept 5 Series ActiveHybrid is tailored to the driver’s requirements and current driving conditions with maximum precision. At the same time the power electronics also control the operation of the car’s ancillary units and comfort functions, again in the interest of maximum efficiency. The range and diversity of parameters taken into account by the system is indeed quite unique in the automobile, just as the number of functions controlled in this way. A high level of all-round networking allows the power electronics to provide intelligent energy management, thus optimising the operating strategy of the entire vehicle under all conditions. A further unique feature of energy management in the BMW Concept 5 Series ActiveHybrid is the car’s ability to adjust its operating strategy not just to current, but also to upcoming driving conditions. To do this the power electronics from the start evaluate data indicating a possible change in exterior conditions or the driver’s wishes and prepare the components in the drivetrain as well as the car’s electronic system for a possible change in requirements. To analyse driving conditions up front, the system uses data provided by engine and chassis management as well as the sensors in the driver assistance systems on board the car. Data saved in the navigation system on the route chosen by the driver likewise goes into the final calculation, enabling the system to forecast driving conditions on the route directly ahead. Then, proceeding from this analysis, the car is coordinated in advance and the optimum use of all systems serves to use the energy available with maximum efficiency. Should the system determine, for example, that the autobahn ahead is about to lead downhill, the charge level of the high-voltage battery is intelligently controlled in advance to regain brake energy upfront with maximum efficiency. Similarly, the high-voltage battery may be fully charged in good time before the driver reaches his destination, enabling the system to switch off the combustion engine at an early point and change to all-electric drive along the final stretch of road. Indeed, this forward-looking function is able to extend the cruising range on electric power by up to 30%. The BMW Concept 5 Series ActiveHybrid: the future of driving pleasure and efficiency in the upper midrange segment. Optimised to an even higher standard in the BMW Concept 5 Series ActiveHybrid, the drivetrain and control systems underline the great significance of hybrid technology as a cornerstone of BMW EfficientDynamics. Looking at a new generation of hybrid technology from BMW featured in the BMW Concept 5 Series ActiveHybrid therefore offers particularly attractive perspectives, the ongoing development of BMW ActiveHybrid technology serving to provide substantial progress in all areas leading to a harmonious all-round concept with distinctive features typical of the brand. 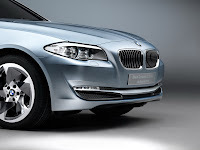 The BMW Concept 5 Series ActiveHybrid is therefore more dynamic, efficient and more intelligent than conventional representatives of this drive technology, standing out clearly as the BMW among hybrid cars in this segment. 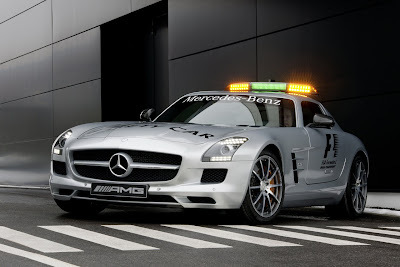 STUTTGART : February 26, 2010 - When the new Formula-1 season gets underway in Manama/Bahrain (12-14 March 2010), it will mark the debut of the most spectacular and powerful Official F1™ Safety Car of all time. The job of the new Mercedes-Benz SLS AMG, which will be launched on 27 March 2010, is to ensure maximum safety in Formula 1. The "gullwing" model replaces the SL 63 AMG, which was used as the Official F1™ Safety Car in 2008 and 2009. As in the last two years, the C 63 AMG Estate will be used as the Official F1™ Medical Car for the coming season. 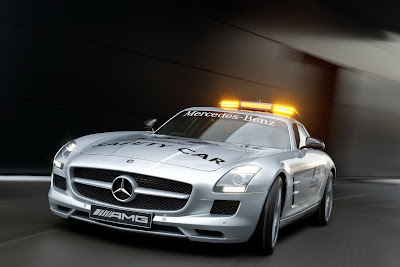 "Together with the entire AMG Team, I am very proud that the new SLS AMG is the official F1 safety car. I'm sure all Mercedes and AMG fans will be excited to see the gullwing model together with the new Mercedes GP Petronas Team at the F1 circuits," says Volker Mornhinweg, Chief Executive Officer of Mercedes-AMG GmbH. From March 2010, the Official F1™ Safety Car will be deployed whenever hazardous situations such as accidents or bad weather endanger normal racing. The SLS AMG, piloted by Bernd Mayländer (38, from Germany), will be on standby in the pit lane throughout the entire race. When radioed by Race Control, the former DTM driver and his co-driver, FIA man Pete Tibbetts (44, from the UK) will take to the track at the head of the field in order to guide the Formula-1 race cars safely around the circuit. The Mercedes-Benz SLS AMG has the best possible credentials for this demanding role in the top flight of motor racing: its 6.3-litre V8 engine has a peak output of 420 kW (571 hp) and a maximum torque of 650 Nm, enabling the gullwing model to sprint from 0 to 100 km/h in 3.8 seconds. Fast lap times are a must for the Official F1™ Safety Car, otherwise the Formula-1 cars' tyres and brakes would cool down too quickly, while their engines could overheat. The unique vehicle concept is a key factor in ensuring outstanding driving dynamics: the aluminium spaceframe body keeps the vehicle weight down to 1620 kilograms (DIN kerb weight). And thanks to the dry-sump lubrication system, the AMG V8 powerplant can be installed very low down, resulting in a beneficial lowering of the vehicle's centre of gravity. The installation position a long way behind the front axle and the transaxle arrangement of the new seven-speed double-clutch transmission on the rear axle have a positive effect on the weight distribution, which is 47/53 percent (front/rear). Pure motorsport tech-nology is used for the AMG sports suspension: aluminium double-wishbone axles front and rear ensure outstanding driving dynamics with precise turn-in ability, first-class agility, low mass inertia when changing direction spontaneously and, therefore, a high cornering limit. The AMG SPEEDSHIFT DCT 7-speed sports transmission with double-clutch technology features four modes and allows fast gear changes with practically no interruption in tractive power – in manual mode ("M"), gear changes can be effected in 100 milliseconds. Together with the 3-stage ESP®, the integrated mechanical multidisc differential lock ensures outstanding traction. Meanwhile, braking distances are minimised and resistance to fading is maximised, even when the brakes are subject to typical race-track loads, courtesy of the AMG ceramic high-performance composite brake system with its generously sized ceramic discs measuring 402 x 39 mm on the front axle and 360 x 32 mm on the rear axle. The weight-optimised 10-spoke forged wheels are shod with 265/35 R 19 (front) and 295/30 R 20 (rear) tyres. The Official F1™ Safety Car features the same engine, power transmission, suspension and brake system as the standard-production SLS AMG. The exceptional technology package for the super sports car ensures perfect driving dynamics and means that no further technical modifications or lightweight-design measures are necessary, with the sole exception of the all-new rear silencer, which allows the high-revving AMG V8 naturally aspirated engine to breathe more easily and offers Formula-1 fans an even more emotionally charged sound experience. Compared to the standard-production SLS, the Official F1™ Safety Car is distinguishable on the outside by its prominent F1 logos, carbon-fibre exterior mirrors and the characteristic roof light bar with integrated TV camera. It sits on an all-new carbon-fibre hood whose shape has been tested in the wind tunnel to ensure optimum airflow at the rear aerofoil. The aerofoil pops up when the car reaches 120 km/h and, together with the rear diffuser, provides the necessary rear downforce. LEDs are used for all light functions for the first time in the new, aerodynamically styled roof light bar. Their advantages over the previously used bulbs lie in their extremely fast response time and low power consumption. The two centrally positioned green lights in the aerodynamically optimised light bar are illuminated when the Official F1™ Safety Car joins the field and first needs to overtake all the racing cars in front of it. 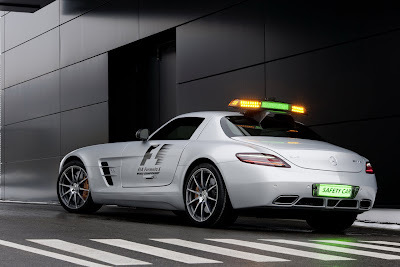 Once the SLS AMG has assumed the leading position, the outer orange flashing lights are switched on to signal to the Formula-1 drivers that no overtaking whatsoever is allowed. The white stroboscopic lights in the headlamps and tail lights perform a general signalling function in that they always flash whilst the safety car is deployed. A special number plate at the rear, with "Safety Car" lettering and 700 LEDs, provides additional safety in darkness or wet weather. A reversing camera is integrated to the left of the number plate, allowing those in the cockpit of the Official F1™ Safety Car to keep an eye on the Formula-1 cars behind via monitor. The distinctive gullwing doors open to reveal a practical cockpit which, like the exterior, differs only slightly from that of the standard-production model. AMG sports bucket seats with black leather upholstery and six-point seat belts ensure optimum lateral support. On the right side of the AMG DRIVE UNIT, there are four coloured buttons for controlling the various light functions, along with the signal horn, which is activated when the car is driving into and out of the pit lane. The centre console, like various other interior trim parts, is finished in genuine carbon fibre, while the AMG performance steering wheel in leather/Alcantara features a specially shaped grip area, a high-quality genuine-metal insert and a flat-bottomed rim with a diameter of 370 millimetres. Two genuine-metal shift paddles are used to change between the seven gears in the double-clutch transmission. Two central monitors in the SLS AMG cockpit are used to monitor the progress of the race. To the left and right of the lower monitor are the controls for the radio system, which allows Bernd Mayländer and Pete Tibbetts to communicate with Race Control as well as with each other. A second interior mirror lets the co-driver keep an eye on the Formula-1 cars behind. Meanwhile, the "Marshalling System" is integrated in the central display on the instrument cluster and in the lid of the glove compartment: here the driver and co-driver can see exactly the same signals as the Formula-1 drivers in their cockpits. For instance, the various LEDs indicate when yellow or green flags are being waved. LEDs indicating the status of the roof light bar, along with an on-board camera angled towards Bernd Mayländer, are mounted at the front end of the dashboard. The SLS AMG is not the only AMG high-performance car to be involved in the Formula-1 World Championship: as in 2008 and 2009, the C 63 AMG Estate is the Official F1™ Medical Car – responsible for ensuring rapid emergency response in the event of an accident. The lightning-fast estate car follows the Formula-1 field on the start lap because the race cars are still bunched extremely closely together during this critical phase of the race. The concept on which the AMG Estate is based is ideal for meeting the requirements of Formula-1: outstanding driving dynamics are assured courtesy of the AMG 6.3-litre V8 engine developing 336 kW (457 hp) with a peak torque of 600 Nm, not to mention the AMG SPEEDSHIFT PLUS 7G-TRONIC transmission, the adjustable coil-over suspension, the AMG light-alloy wheels shod with 235/35 R 19 (front) and 255/30 R 19 (rear) tyres, the differential lock, the 3-stage ESP®, and the AMG high-performance brake system with internally ventilated and perforated composite brake discs on the front axle. The new AMG front apron with larger air dams is an indicator of the optimised cooling for the water, engine oil, transmission fluid and power steering. One aspect that cannot be seen but can certainly be heard is the distinctive AMG V8 sound emitted from the new rear silencers of the AMG sports exhaust system. Like the Official F1™ Safety Car, the Official F1™ Medical Car is distinguishable by its F1‑ logos, the roof light bar, and the stroboscopic flashing LED lights at the front and rear. A number plate illuminated with LEDs and displaying the words "Medical Car" on the tailgate makes the car easier to see in darkness or adverse weather conditions. The Official F1™ Medical Car is piloted by racing driver Alan van de Merwe (from South Africa); his co-driver is the official FIA Grand Prix Chief Medical Officer Dr Gary Hartstein (from Belgium). Two assisting medical experts from a specially selected clinic near the race track sit in the rear. There is plenty of space for all of the emergency equipment – including a defibrillator and respiration apparatus – in the 485-litre boot of the C 63 AMG Estate. Four AMG sports bucket seats with six-point seat belts, two monitors integrated in the centre console for monitoring the race and a radio set for communicating with Race Control distinguish the interior of the Official F1™ Medical Car from that of the standard-production C 63 AMG Estate. The development, track-testing and configuration of the two Official F1™ Safety Cars and the two Official F1™ Medical Cars – in both cases, there is one emergency vehicle and one replacement vehicle – are carried out by the specialists from the AMG PERFORMANCE STUDIO in close collaboration with the test team for AMG overall vehicle development. This involves drawing on over 40 years of know-how from the field of motorsport as well as the wealth of experience in the design of high-performance sports cars. Numerous test drives were carried out on various racetracks in order to tune the suspension and verify all the systems and components. Two highly-qualified AMG technicians are also on hand to take responsibility for the deployment of the Safety Car and Medical Car at all 19 Formula-1 races. For 14 years AMG has continuously provided the Official F1™ Safety Car and the Official F1™ Medical Car in the top flight of international motorsport. As early as 1984, an AMG E-Class Coupé with V8 engine was used occasionally as the Medical Car. The activities of the Affalterbach-based company are also evidence of Mercedes-Benz's long-standing commitment to Formula 1. The new Audi A1 offers a very sophisticated chassis, balanced weight distribution and a low center of gravity. “That is a guarantee for maximum driving enjoyment,” says Horst Glaser, Head of Chassis Development at AUDI AG. 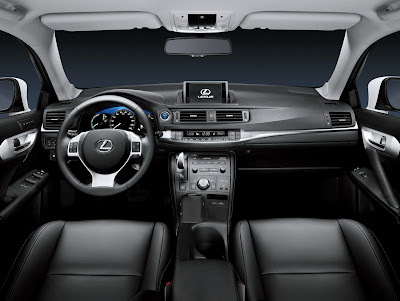 Because it connects the driver to the road, the steering is one of the most important components of a sporty car. The A1 therefore comes standard with electrohydraulic power steering that has a very direct 14.8:1 steering ratio and is also more efficient than a purely hydraulic system. features a torsion-beam suspension with the springs and dampers separated. “The car is very well sprung. It swallows up bumps of almost any size without any amplification of the motions,” says DTM pilot Markus Winkelhock when describing his impressions. One new Audi technology is on board every version of the A1 – the ESP stabilization system with an innovative electronic axle differential lock. The brakes are applied slightly to the inside wheel in a curve, allowing more torque to be transferred to the wheel on the outside of the curve. The vehicle is very agile and the handling remains neutral even longer. “After driving the Audi A1 for the first time, my opinion is clear: It’s the benchmark in the small compact class,” says Winkelhock. 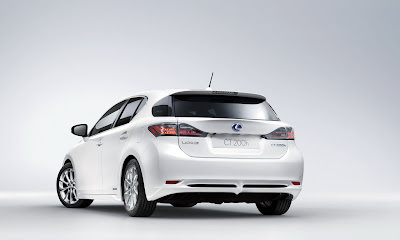 COLOGNE : February 26, 2010 - The new Lexus CT 200h is the first full hybrid vehicle to be launched in the premium compact segment. 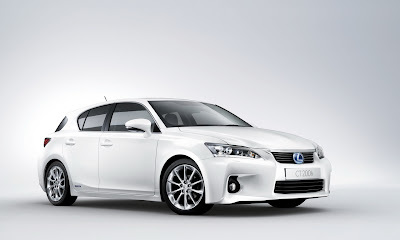 Entering production in late 2010 and set for sale worldwide, the full hybrid model will provide a new gateway to the Lexus range and attract new, younger customers to the brand.